FS: Clear eMate 300 Prototype (Newton OS) RARE! 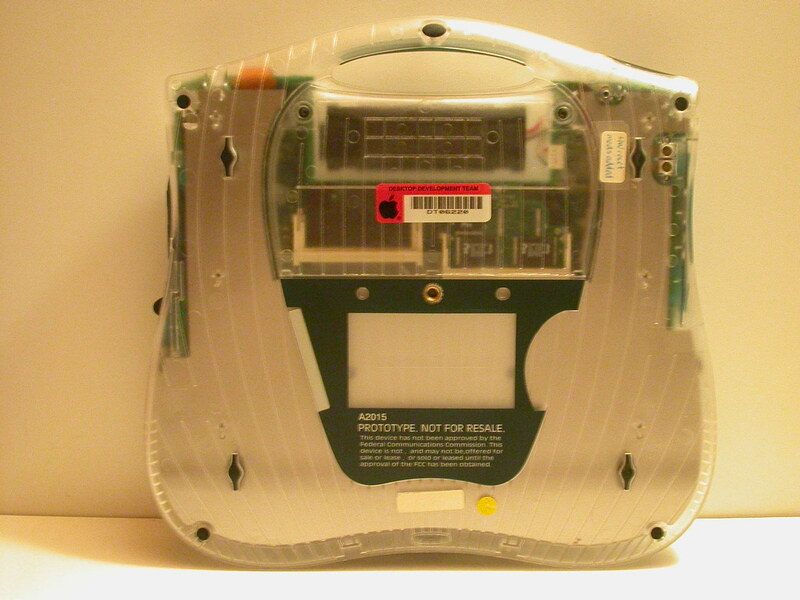 Basically this is an educational version of the Newton OS 2.1 (but base NOS actually reflected is 2.2) in a clamshell with keyboard. This is a Clear case version with an Apple Asset Tag. It has additional modification which were hard wired onto the MLB. There are additional stickers of which one indicates the wiring modification. I'm truly not sure how many of these Clear cases were made but I'd guess at minimum 5 from some accounts. There is some I posted here on Applefritter awhile ago also. Please ONLY contact me through Flickr with offers. Payments will be made through PayPal (US bank funded account) and Shipping to a US location also. I will consider shipping out of the US but we will need to discuss details. This unit was powered up awhile ago and I can do so if you want and take video for review for interested party. This should goto a museum as this is a collector's item, but I thought I'd offer it here first before I send it off to eBay. Here is a sampler photo of the bottom of the unit.